We specialize in many different areas of real estate. What ever your needs are we have realtors anxiously awaiting the opportunity to assist you. 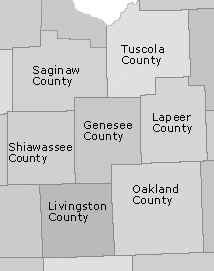 Serving Genesee County Michigan and its surrounding areas. For information about one of these areas, click the link below.